Meet the 2017 Punjab Pavilion. Here you have it! My third (and final) stop during my second collaboration with Winnipeg-based photographer and vlogger Christian Narciso of Viewsual Media! All photos featured here are from Christian. Don’t forget to check out Christian’s vlogs! Scroll to the bottom to watch the video! ** For a complete, updated listing of pavilions I have visited so far, please click here. Head upstairs and see the rich colours, beautiful artefacts and intricate materials laid out to be explored. The first station as you come up the stairs is the turban station where gentlemen can get the experience of getting a turban tied on! You will see a map with the Punjab region laid out – the word itself meaning “5 Rivers” as, you guessed it, five rivers meet and flow through this state. One of my favourite things to do at this pavilion is to try on their wedding headpieces – they really know how to make a girl feel like a queen on her big day! Christian tried to goat platter combination which came with the goat meat, rice, some yogurt…the works. It was an incredible helping of food, and so delicious! I went with the vegetarian samosas – you can’t go wrong with this. So flavourful and filling. Something unique to this pavilion this year that I hadn’t seen in the past was the live singing and band that performed as some of the younger performers did their dances. You get to see the traditional instruments used – and the live singing only added to the fun, energetic and party vibe of this pavilion. One of the biggest draws to the pavilion is the Bhangra performances and we got to see a junior group perform it, followed by the finale done by the adults. The show ends, as always, with a party on stage that everyone is encouraged to participate in and join. The hospitality at this pavilion is unreal. They are not only helpful, they were also very welcoming. The woman who helped me into the wedding headpieces explained the significance of everything and the different types of materials and styles. The pavilion coordinator was also very accommodating for us as we got our meals and got great positions to take our videos. Thank you! Check out the Vlog of this adventure (Italian – Japanese – Punjab) in the video below! 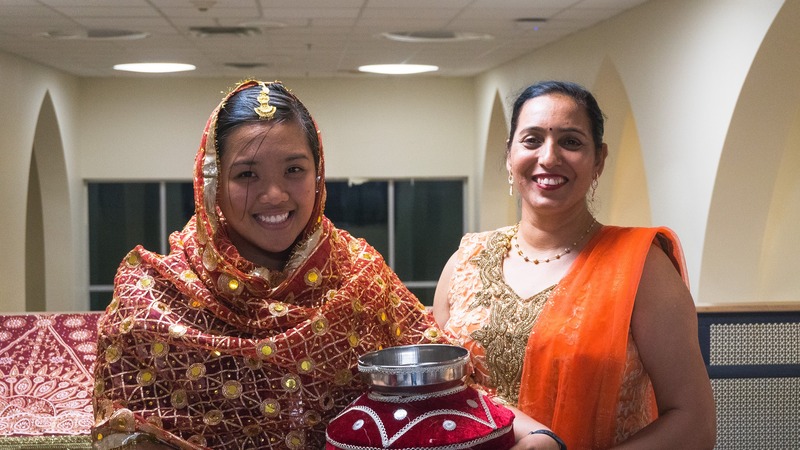 Thank you again to Christian of Viewsual Media for exploring three cultures with me in one day! 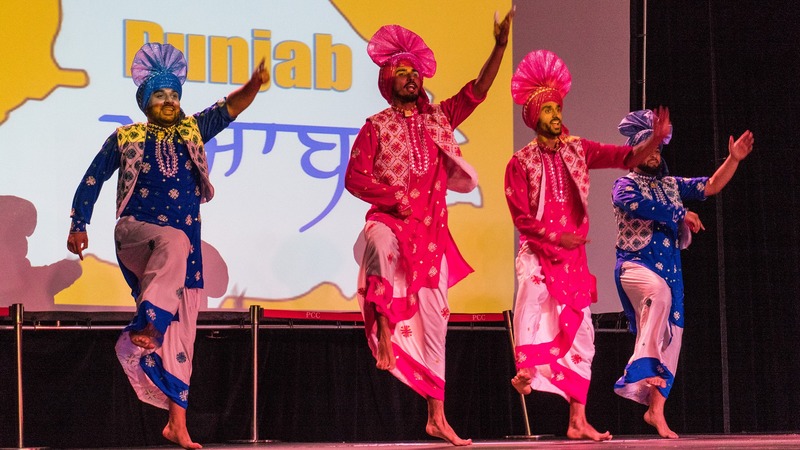 Congratulations again to the Punjab Pavilion for another successful year! Meet the 2017 Japanese Pavilion. Meet Two Royal Winnipeg Ballet Dancers.